The City of Ottawa is recruiting citizens for membership on various committees and boards. An open house/information session will be held on November 29, 2018 from 6:00 – 8:00 p.m. at Ben Franklin Place, Main Lobby, 101 Centrepointe Drive. The deadline for submitting applications will be no later than 4:30 p.m., Thursday, December 13, 2018, with appointments to be approved by council early in 2019. The joint annual general meeting of the Old Ottawa East Community Association (OECA) and Community Activities Group (CAG) will be held on November 13. Date: Tuesday, November 13, 2018, 7pm. 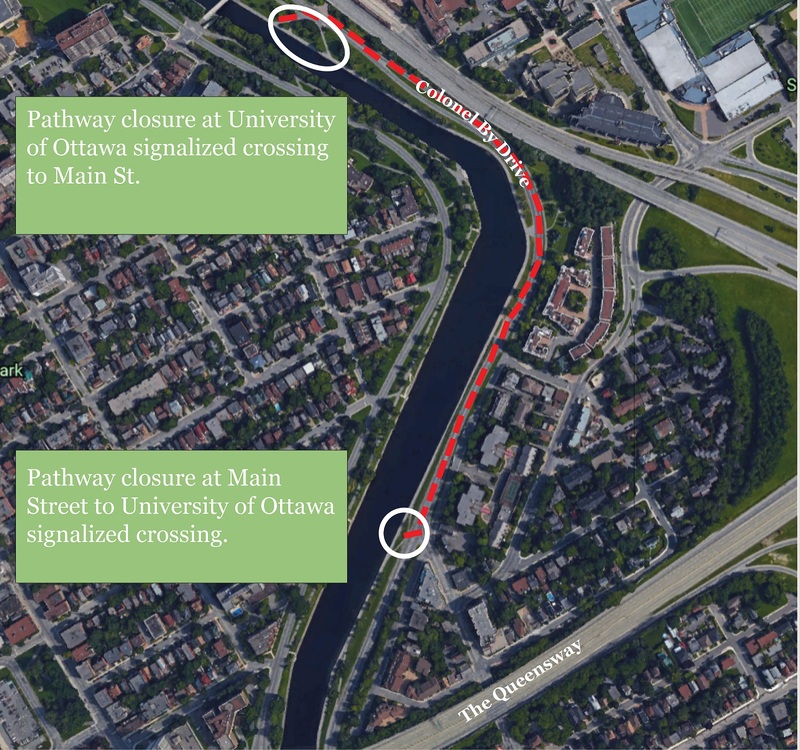 Beginning the week of October 22, there will be pathway closures along Colonel By Drive between Concord Street North and Main Street due to repair work to the Rideau Canal walls. Vehicle traffic may experience lane reductions during off-peak hours, and there will be reduced parking available in the area. The following map shows the location of the work and the route of the pathway detour. The City of Ottawa Planning Committee will be meeting tomorrow to discuss the site plan for the new Immaculata Sports Field. The meeting will begin at 9:30 a.m. in the Champlain Room, City Hall, 110 Laurier Avenue West, Ottawa. You are welcome to attend the meeting and present your views. City staff have recommended a number of changes to the proposed field, including reduced hours of operation, a site lighting plan, and additional vegetation. For complete details and a "Request to Speak" form, see the meeting notice. Videos have been posted for some of the talks from the Sesquicentennial speaker series on Canada's Prime Ministers. For links to all the videos see the Canada 150: Prime Ministers page. Videos are courtesy of Nick Masciantonio at Communiqué Direct.